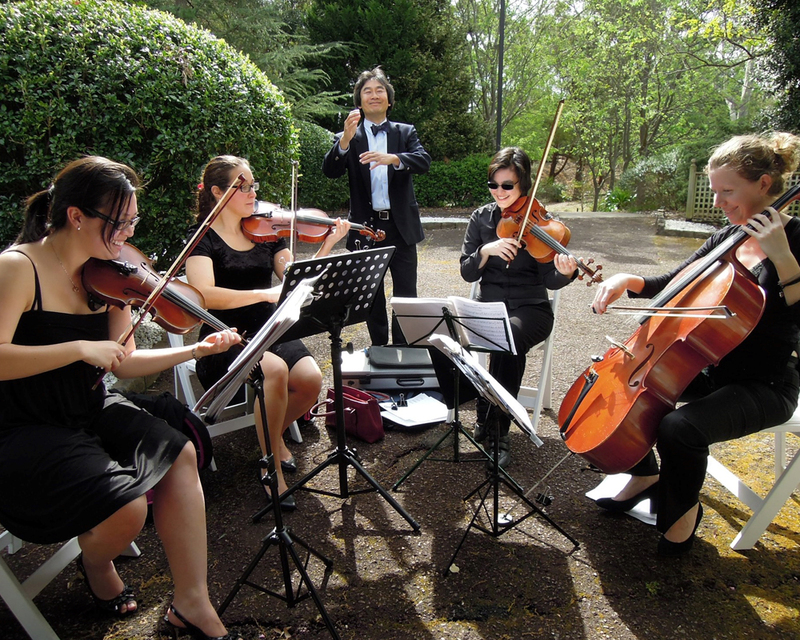 When you book with Encore Strings, you are assured that you’re booking with Sydney’s finest string musicians. The Encore String Quartet was founded in 2004, and soon became a collective of the best and brightest string musicians in Sydney. As part of the O-vation Group of music and entertainment brands, Encore is part of a vibrant family including award-winning DJ’s and MC’s, critically acclaimed instrumentalists and respected composers. Our experience and enthusiasm makes an Encore booking the least stressful decision you’ll make in preparing for your special event- we take all the hassle out of your music and entertainment (so that you’re free to worry about something else instead!). We’ve not only been trusted by the most discerning of clients for over a decade, but we’re the preferred choice of Sydney’s favourite venues too.